Spinach is one vegetable I never get tired of. Main reason behind this is, it can be used to make so many different dishes. You can make its sabji, paratha, soup, pakoda. In every form it tastes delicious. Today I used it in rice to make its pulao. Spinach added a great flavor to rice. This recipe is quite simple and very healthy. Wash rice and drain water. Spread it on plate and let it rest for some time. Grind together spinach leaves,coriander leaves and green chillies. In a pressure cooker heat oil. When oil becomes hot add cumin seeds, cloves, cinnamon stick and bay leaf. Fry for a minute. Add sliced onions and ginger garlic paste. Fry till raw smell goes and onion becomes golden. Add spinach, coriander paste and potato cubes. Fry for 2-3 minutes. Add red chilli powder, dhania powder, garam masala. Stir well. Add water, salt and lemon juice. Mix well. Close the lid of cooker and bring one whistle. I am very excited to receive more awards from my sweet friends Devi, Jagruti and Nithu! 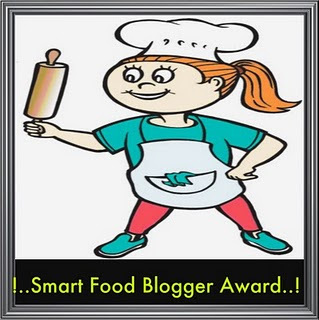 Nithu (http://nithubala-recipes.blogspot.com/) and Devi (http://fresherscookbook.blogspot.com/) have shared with me this 'Beautiful blogger' award. 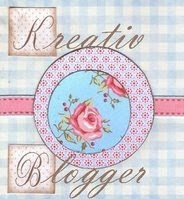 Jagruti (http://joyofcooking247.blogspot.com/) has shared with me 'Kreative Blogger' award. Boil cauliflower florets in water for 4-5 minutes. 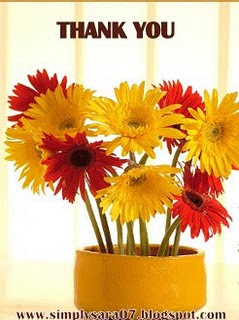 Take care not to overcook florets.Drain the water and let florets dry for few minutes. Mix maida, 4 tbsp corn flour, red chilli powder and salt. Add water slowly to form a batter. The batter should be thick enough so that it covers cauliflower florets nicely. Heat oil in deep kadhai for frying. Deep cauliflower florets in batter and put them in hot oil one by one. Take care florets are completely covered in batter. Deep fry them till they get nice golden color and become crispy. Keep fried florets aside. For making sauce, heat 2 tbsp oil in wok. Add onion, green chillies, garlic and ginger. Fry for some time. When onion becomes soft add capsicum. Fry again for 2-3 minutes. Add tomato ketchup and red chilli sauce. Fry for a minute. Add soya sauce, vinegar. Mix well. Add 1/2 cup of water and 2 tbsp corn flour. Mix corn flour properly taking care it does not form lumps. Heat this for 2-3 minutes. Add fried cauliflower florets and mix properly. All florets should be covered with sauce properly. Switch of the heat. Garnish with green onions. Grind together grated coconut, green chillies and garlic cloves to smooth paste adding little water. Add this masala paste to buttermilk. Add salt. Mix well without heating the mixture. In separate kadhai heat ghee. Add mustard seeds. When they splutter add hing. Add this seasoning to buttermilk mixture. 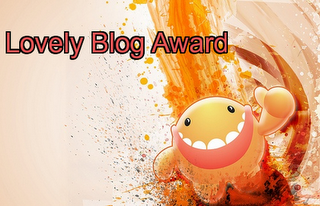 Thanks a bunch Sumathi (http://ammavin-adupankarai.blogspot.com/) for sharing 'Beautiful Blogger' award with me. I am really excited to receive this. This encourages me alot to share more and more of my cooking experiences. I would like to take this opportunity to thank each one of you for all the appreciation and sweet comments you all have given! My dear friends, Please keep visiting and giving your comments and suggestions. 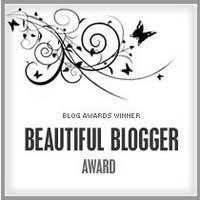 I would like to share this award with my sweet blogger friends. Cook beans and potato cubes with water and little bit of salt. Pressure cook toor dal with tomato and drop of oil. In small kadhai fry red chillies and chana dal with teaspoon of oil. Fry till chana dal becomes slight red. Keep this aside. Fry coriander seeds and peppercorns for 2-3 minutes till nice aroma comes out. Keep this aside. Heat ghee and add mustard seeds. When they splutter add cumin seeds, curry leaves, methi seeds, curry leaves, hing, turmeric powder. Fry for a minute. Switch off the heat. Grind all these ingredients to a smooth paste by adding tamarind extract and water. Mash cooked toor dal. Start heating dal in deep kadhai and add masala paste to it. Add water till you get nice consistency for curry. Add salt and boil curry till it starts boiling. Then switch off the heat. In separate kadhai, prepare seasoning with ghee, mustard seeds and curry leaves. Add seasoning to curry. Delicious Kholmbo is ready. It may look like little bit of work but it is surely worth it! Tip: You can also do kholmbo with eggplant(brinjals) or radish(mula/mulangi) or Navalkol (Kohlrabi). This is my entry to Arundhuti's Served with Love event. Tomorrow i.e. 14th January is an auspicious day of Makar Sankranti and Pongal festival. Sankranti is a day when Sun makes a transition to Capricorn (Makar) sign. Days will start getting longer and warmer now. This day marks as a beginning of auspicious time in Hindu culture. This is a major harvest festival in India. Wishing all of you a very Happy Sankranti and Pongal!! But my Sankranti wishes are incomplete without Tilgul. Tilgul is a sweet prepared from Sesame seeds and Jaggery. This is a day when tilgul is exchanged among friends saying "Tilgul ghya ani god god bola". Literally this means "Take tilgul and speak sweet". True meaning behind this saying is to forget all the resentment we may have and being sweet with everybody. This is a day to strengthen the bond of friendship. So all my dear friends, very warm wishes to all of you on Sankranti! 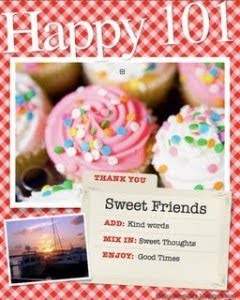 Let our friendship become stronger and sweeter always!! Tilgul ghya ani god god bola!!! Dry roast sesame seeds on medium heat till they turn golden in color. Grind sesame seeds to coarse powder. Grease plate with ghee and keep aside. In deep kadhai add jaggery, 2 tbsp water and 1 tbsp ghee. Heat it on low-medium flame till jaggery melts. Keep stirring continuously. When jaggery melts completely lower the heat to minimum. Add sesame seeds and groundnut powder immediately. Mix this properly till nice lump is formed. As soon as lump is formed switch off the heat. Put this lump on plate which we have greased earlier. Apply ghee to your palms and pat this lump to flatten it evenly. We need to do this when mixture is hot so take care of your hands by applying ghee nicely. Or you can use flat surface of katori to pat. Once you flattened the mixture, spread shredded coconut on surface immediately. This way as the surface is hot, coconut sticks to it. Immediately, mark out the pieces in square shape with knife. Take out pieces when they cool down completely. Enjoy this sweet tilgul and make your Sankranti festival sweeter. This is my entry to Priya's Cooking with seeds-Sesame seeds event. Winter is at its peak here. There is tons of snow lying everywhere. One thing which warms you up in such weather is hot cup of tea and something hot and spicy to go along with it. Every time I think of making some snacks along with tea, my mom's Kanda Bhaji ( Onion Pakoda) is always on the top of my mind. Actually, winter and all is just an excuse, I can eat these pakodas anytime, anywhere. So many times at my home, I have skipped my meal, snacking on my mom's Pakodas :) Here is my mom's recipe for making these tasty pakodas. Mix sliced onions, besan, ajwain seeds, turmeric powder. Add red chilli powder on this mixture. Heat 2-3 tsp oil in a separate pan and pour hot oil on above mixture. Mix this properly. This makes pakodas crispy. Add little water, coriander leaves and salt. Mix mixture properly. Add water just enough to make a thick batter. Heat oil in deep kadhai. One by one, take small amount of batter in hand and drop it carefully in hot oil. Fry pakodas on low-medium flame till they turn nice golden. Enjoy hot pakodas with tea or ketchup. First of all, Thanks a bunch to my friend Sumathi Karthikeyan (http://ammavin-adupankarai.blogspot.com/) for sharing Kreative blogger award with me. It is really precious to me. This has given me lot of encouragement and motivation!! I would like to share this award with all of my dear blogger friends. You all have amazing blogs. I have so much to learn from all of you. Kindly accept this award ALL... It will be an honour for me !! Shevaya/vermicelli kheer is one dessert which make quite frequent appearances in my home. I love it for its simplicity and yet such a rich taste. It is always served as 'Naivedyam', for auspicious days such as Gauri-Ganpati Pujan. This is one sweet which you can enjoy both during meal and after the meal. You can serve it hot with puri/chapathi. Or you can keep it in fridge and enjoy as a chilled dessert relaxing on your sofa. Recipe for this homely dessert is very simple. Only one thing you need to consider is that, once kheer starts cooling down it becomes thick. So you need to adjust milk quantity depending on whether you like it thick or not. At my home we like it little bit thick. Heat one tbsp ghee and fry almonds,raisins and cashews for 3-4 minutes. Keep it aside. Heat remaining ghee and fry vermicelli till it turns golden. Heat milk in deep vessel. Once milk starts boiling add vermicelli. Keep stirring frequently till kheer is completely done. After few minutes, you can taste and adjust sugar to your liking. Let mixture simmer till vermicelli gets cooked nicely. Add cashews, raisins and almonds. Delicious kheer is ready! Dali thoy is one of the most famous and simple konkani dish. Dali thoy and rice is like a definition of comfort food. First time I ate it when my husband prepared it. Since then this has been my favorite dal. Pressure cook toor dal with green chillies, turmeric. Mash cooked dal. Dal should not be very watery. Heat dal by adding cumin powder and salt. Let this simmer for few minutes. In separate kadhai prepare seasoning. For that heat ghee and add mustard seeds. When they splutter add cumin seeds, turmeric, curry leaves and red chillies. Switch off the heat of dal. Add seasoning to it. We have bid adieu to 2009 and welcomed 2010 with open hearts. I hope you all had rocking celebrations on new years eve and wish all of you get many more reasons to celebrate in 2010. With this new year I am giving a new refreshing look to my blog. Hoping you all like it!! We had a small get together at friend's home on new years eve. I made this butter sponge cake for it. I am a beginner in baking. I made this cake with all the basic ingredients.It is simple to make and still it is very yummy. Add powdered sugar in melted butter. Whisk it for ten mins till it mixes properly. In separate bowl beat eggs for eight-ten minutes. Add these eggs in butter-sugar mixture. Stir this again for ten-fifteen minutes till uniform mixture is formed. Add vanilla essence and baking powder. Add 2 tbsp maida and mix well. Keep adding 2 tbsp maida at a time and whisking it properly. While stirring always stir in one direction only. Apply ghee to a baking bowl. Pour cake mixture in it. Preheat oven on 190 degree celcious ( 375 degree fahrenheit). Bake cake for 30 minutes.